We hear this once too often and there is absolutely no doubt that it’s true. One of the most challenging aspects of applying to colleges is figuring out how to pay for it. 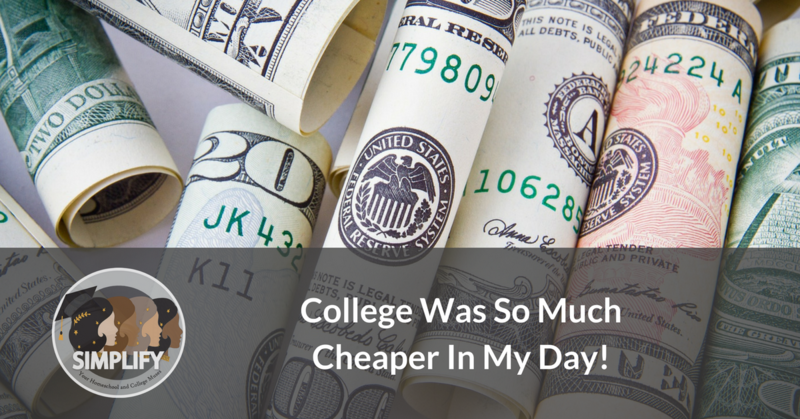 Parents are often stunned by “sticker price”, the fees that colleges publish on their websites. Parents are also too quick to judge that their student will not qualify for need-based aid and don’t take time to look more deeply into financial aid options available to them. Others are simply overwhelmed by all the tools and resources available and need some time to digest what all those abbreviations mean! Let’s start with the basics. You might have heard about the EFC and FAFSA or CSS Profile but learning about financial aid need not be as complicated as these names sound. Let us help you unravel the financial aid alphabet soup. Simple truth: there is a lot of financial aid available. Of these, federal and state aid are usually granted based on need while scholarships from colleges and private entities might be available based on criteria other than need, such as merit scholarships, recognition of special talent such as in music or athletics and scholarships for children of employees. Grants are usually awarded based on need. Scholarships are offered either based on need or other circumstances and like grants, are considered gift aid that does not need to be repaid. Students are actively encouraged to seek scholarship opportunities but beware that if gift aid exceeds calculated need, the college might reduce the amount of need-based aid that it has extended to the student. Some of our favorite sites for researching scholarships are FastWeb, Chegg, and Cappex. Not all money is based on need. For merit-based (GPA and test scores) money, check out automatic full-ride scholarships. See this Student Aid link for more information on finding scholarships. LGBTQ+ students might want to look at a list of scholarships here. Loans need to be repaid either after the student has completed their higher education or will require gradual repayment shortly after disbursement. Subsidized loans are normally interest-free and unsubsidized loans will accrue interest when funds are paid out. Both the federal government and colleges offer work-study programs that allow students to work part-time to offset college costs. COA refers to how much it will cost for you to attend the college for a single year. COA includes tuition, room and board, cost of books, supplies, and other materials required for college, transportation, and miscellaneous other expenses such as loans. Read more about Cost of Attendance. EFC is an index that college financial aid officers use to calculate an incoming student’s financial aid package. For example, if the student’s COA is $20,000 and the EFC is calculated at $15,000, the student’s financial need is $5,000, which means that the student will not receive more than $5,000 in need-based aid. It can be confusing to decipher how colleges calculate EFC. The EFC is less about assets (e.g. savings and investments) and more about income (current and prior year). In attempting to analyze all families equally, the index will not factor in life choices such as debts but will take into account unavoidable cost like medical expenses and how many other children are enrolled in college. In coming up with the EFC, aid officers analyze how much cost a family can afford to absorb over time. See this helpful link to calculate your EFC. The NPC refers to how much a student pays to attend college for one year less scholarships and/ or grant money. Once your student has decided on their college list, run the NPC on a college’s website for an estimate of how much families like yours pay to attend that college. You can run NPCs on any college’s website or by choosing a college of your choice at Net Price Calculator Center. It needs to be said. Apply to the Free Application for Federal Student Aid (FAFSA) even if you think your student will not qualify for aid. FAFSA criteria change from year to year and there is a chance that your student might qualify one year when /he might not have qualified in previous years. Unlike years past, the FAFSA form is now so much simpler and quicker to complete. Filing starts in October and you will need the previous year’s tax returns to complete the online form (e.g. 2016’s returns for fall 2018 admission). Remember to file the FAFSA once a year.Do be aware that about one-third of all FAFSA applications are chosen for verification, so you do want to be prepared for it. In verification you will be asked to provide documentation to support the information you put down in the FAFSA. You may also be asked to fill out verification forms. If you do have to verify do not worry about the process but be aware of how much time you have to complete the steps. If you are unsure about anything get in touch with the financial aid office. They will be able to guide you through the steps. One final warning — don’t avoid verification as not completing it will affect your aid package. Some colleges require the CSS Profile in addition to the FAFSA. The CSS Profile, available from October 1st, is a more in-depth look at income and resources and will take more time to complete than the FAFSA. Expect to spend a few hours on the website! Although the CSS Profile is time-consuming it is imperative that it be filled out if your student is attending one of these schools as it is used along with the FAFSA to determine a student’s financial aid package and is what a school uses to award nonfederal aid. It is important to know, that unlike the FAFSA, the CSS Profile must be filled out by both parents whether they are married or not. The non-custodial parent will be sent a login so they may enter their information. If you have no contact with the non-custodial parent you may request a waiver. Please note that the waiver usually includes a statement from the student and a letter from an adult outside the family that knows the situation. Because of this, and the time it takes to get a waiver approved, it is recommended to submit the waiver as early in the process as possible. You can find the CSS Profile here. You will need to create a College Board account if you do not already have one. In addition, if you are low-income, you can receive a fee waiver. If you received a waiver for the SAT you will have the fee waived for up to 8 CSS Profile applications. Prior prior year (PPY) federal tax returns (e.g. 2016’s returns for fall 2018 admission). W-2 forms and other records of income (e.g. 2016 and 2017 information for fall 2018 admission). Records showing any untaxed income for the relevant years. Investment statements, e.g. savings, stocks, bonds and trusts. You will learn how much aid your student will qualify for in the spring. There is no point thinking about financial aid if you are not keeping up with application deadlines! Fastweb has a useful list of financial aid deadlines by state here and if you are a little obsessive about due dates like we are, take a deep look at your shortlisted colleges’ websites. They will usually have a list of deadlines in the application section. Researching and applying for financial aid can be a very involved process but it is absolutely worth it to have college costs reduced as much as possible. Keep good records of all your application forms and records in a college applications-specific binder so that you will have details at your fingertips if the college asks for more information. And note those deadlines and reminders to file yearly applications in your calendar so that you are not left in the lurch for your student’s subsequent years at college. Good luck and remember to reach out to us when you are ready to apply to colleges!